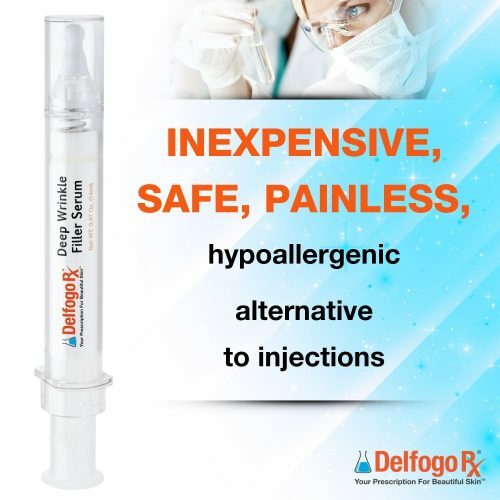 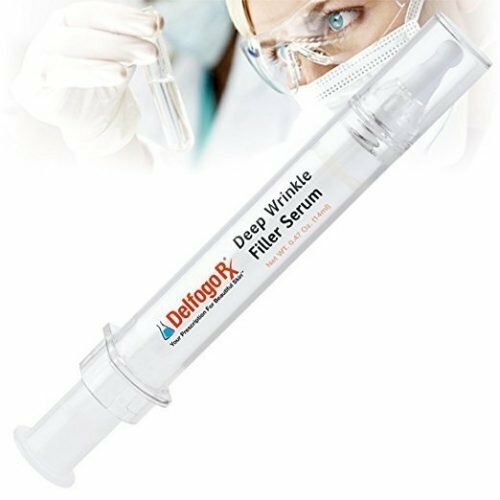 If you are looking for a painless and inexpensive and long-lasting alternative to dermal injections, look no further than the Delfogo Rx Deep Wrinkle Filler Serum. 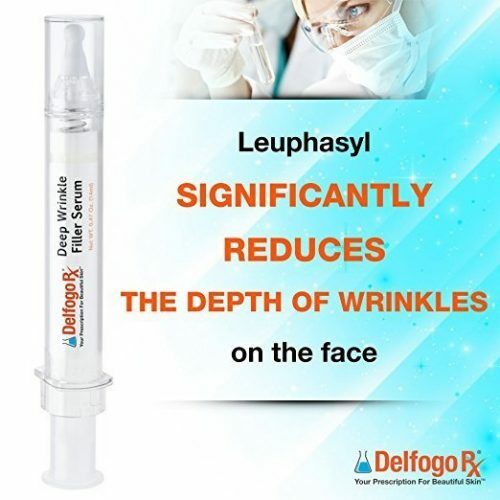 A hypoallergenic and safe way to bring back a vibrant, younger look to the skin, it will feel soothing and natural from the moment you put it on. 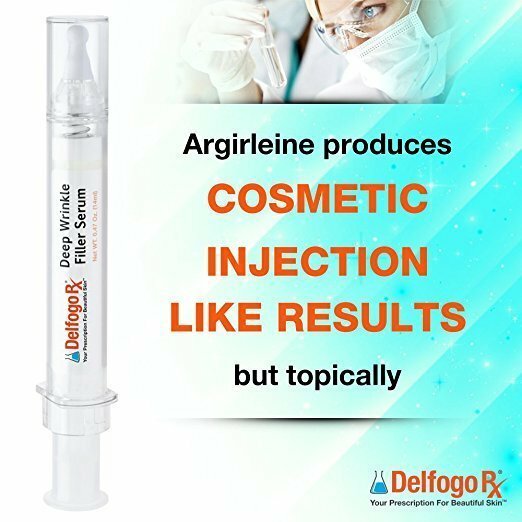 Taking just moments to apply with our easy to use syringe applicator, it will become a permanent part of your skin care routine once you feel and see the results. 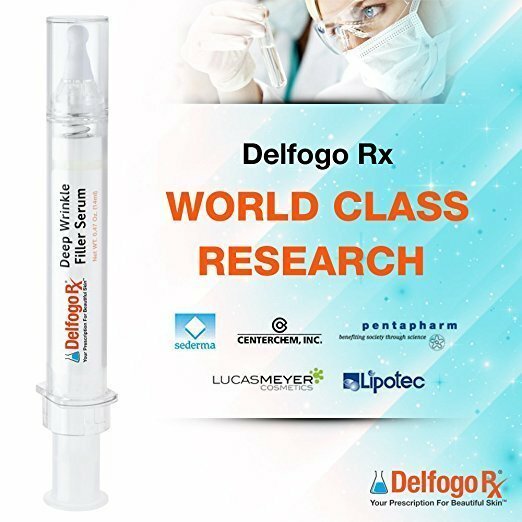 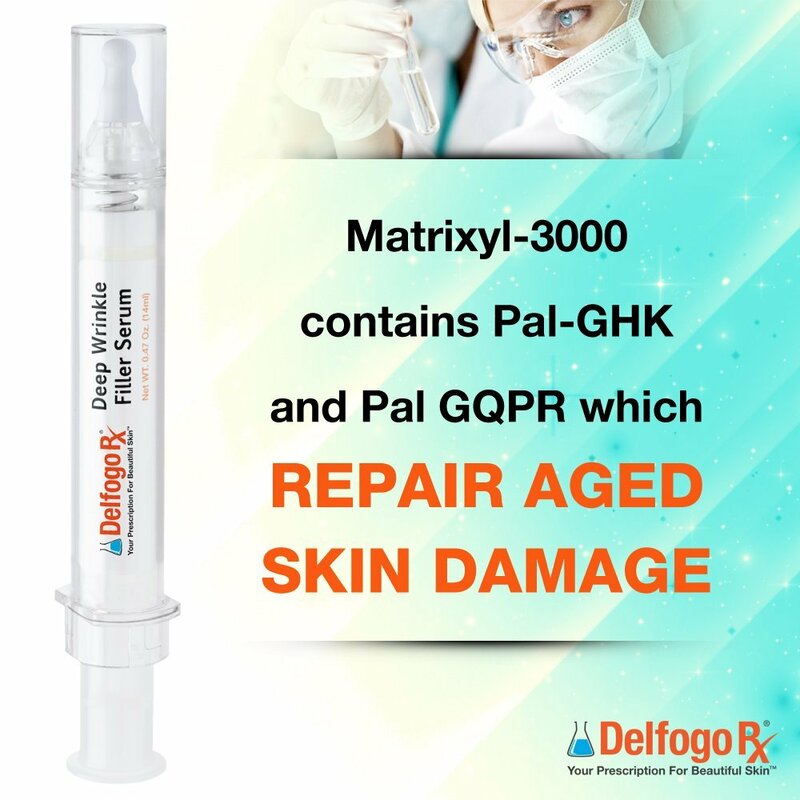 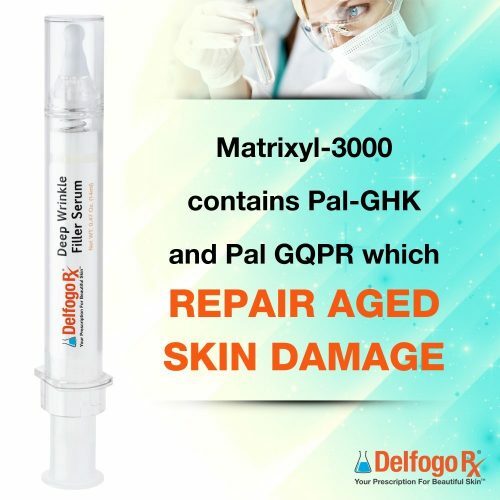 With the aging “baby boomer” population beginning to show their age in their skin, Delfogo Rx has responded to the increased demand for anti-aging skin care products and the Deep Wrinkle Filler Serum has quickly become a customer favorite for its unmatched power. 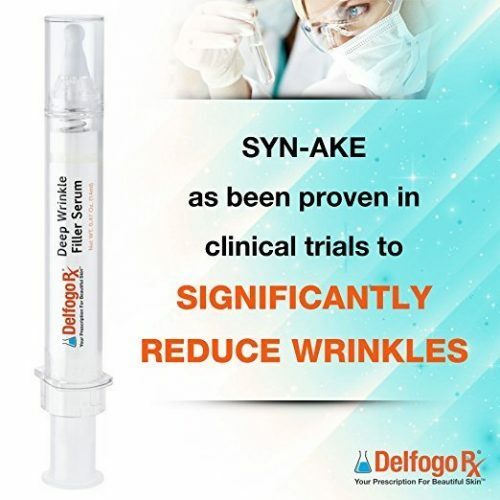 Packed with powerful anti-aging peptides such as Argireline, Leuphasyl, Matrixyl, and Syn-Ake, this formula is developed by our dedicated team of cosmetic pharmacists in our FDA-Registered skin care facility to provide a wrinkle reducing alternative to cosmetic surgery.